Friday the 13th! An auspicious day to return to rounding up reviews. While away, I’ve been thinking that the format in this recurring column needs a bit of adjustment, for the sanity of its writer. Starting with the paragraphs below, the Review Round-Up will link its readers to reviews of a few different movies, but it’s going to focus on recommending one movie you should see this weekend, based on those reviews. There’s a big ape movie out this weekend, featuring Rock “The Dwayne” Johnson. I am a fan of The Dwayne, and have been since tweenagedom—some day I’ll tell you all about how his wrestling style was truly deconstructive, and not in the way that people usually use that word to mean “analytical”—but I just can’t get behind this project. Rampage wasn’t even that good a video game: it was fine to play at the arcade for five minutes, but I rented it on console once and practically fell asleep on top of my N64. Reviews for the film are middling, but the kind of middling where you can tell that the critic would have panned it if they weren’t trying to avoid seeming haughty and out of touch. Meanwhile, Jon Hamm, a man beautiful and funny enough that we have forgiven and forgotten this, is making another attempt at big-screen stardom with the spy thriller Beirut. It seems like the kind of film whose politics would probably disgust me but which I might put on to fall asleep to when it’s on streaming in approximately six months. Movies about bonding with digital apes and topical CIA thrillers handsome Hollywood hunks: is it the mid-aughts again? Maybe time is a flat circle, after all: Lucrecia Martel, the Argentine director who last released a film nearly a decade ago, has a new one out, Zama, and it’s the film I’m recommending this week. It’s an existential parable about 16th-century colonialism in South America, based on a 1956 novel by Antonio di Benedetto. 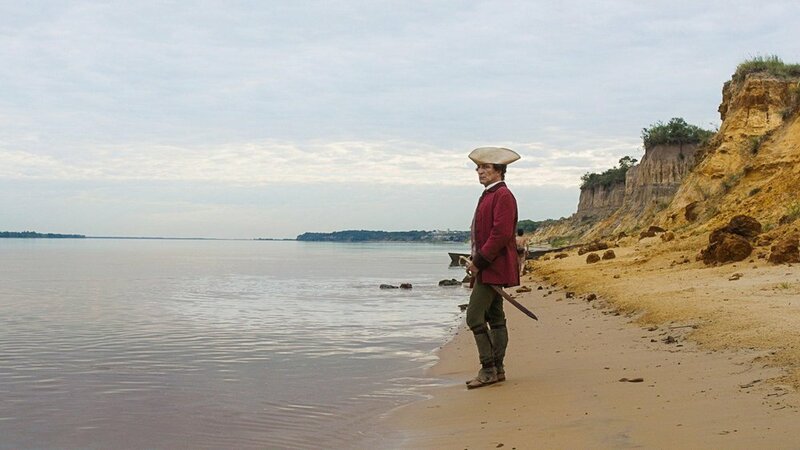 A Kafkaesque story about a Spanish conquistador born in Paraguay but waiting to “return” to Spain, Zama is being roundly praised for its use of absurdist humor in depicting the inhumanity of colonialism. meaningful oppositions: freedom and captivity; open, bright skies and closed, gloomy homes. Ms. Martel’s cool approach fits di Benedetto’s story and can be just as devastating, especially when she abruptly flips drama into comedy. Zama is probably not playing everywhere, but if you have the opportunity, it’s the film you should be seeing this weekend. If nothing else, it’s probably the only film in theaters this weekend in which you’ll get to see a llama. If it’s not playing near you, though ... go with the giant ape movie, I guess.